Here we bring together the most important news about PARX, latest releases of Salesforce, events and new customer stories. Read about what interest us. Save the date! On March 12th the Basecamp Tour starts in Mainz and PARX is represented as a sponsor. Join our team at the PARX booth and learn more about our solutions. Join us on March 27th, 2019 at Hotel Alpha Palmiers in Lausanne to discover how to manufacture a whole new kind of customer success. Benefit from Juergen Brixel's - Industry specialist - point of view, followed by a hands-on demo. We will end our session with a Customer Trailblazer testimonial and networking drinks. PARX expands its local presence in Germany! Centrally located between the main railway station and the banks of the River Main, we welcome business partners and interested Salesforce enthusiasts to our new PARX office at Wiesenhüttenplatz. This year we have again decided to make a donation, committing to two social projects to help socially disadvantaged people. We wish you Happy Holidays and a wonderful start to 2019! PARX - as a player in digital transformation in the Grenoble region - is also taking part in the French Transfo 2019 festival! Visit us on 29th January 2019 to learn how Salesforce can help drive your sales and customer service processes. We'll show you how to improve your customer relationships with Salesforce, Marketing Automation and Business Intelligence in various demo sessions on customer relationship management with Salesforce. Salesforce is coming to Lausanne! Save the date for the Salesforce Basecamp Event on December 4th, 2018! Join the Swiss Cloud Computing Community for a day full of innovation, networking and fun. As a sponsoring partner we warmly invite you to visit us at our booth. Following the steady growth of PARX in recent years, we are continuing our expansion strategy outside the DACH region and opening our first French branch. Since September 2018, we have been active in Grenoble, offering our Salesforce services to companies in the French market. With this in mind, Sébastien Duffournet, Head of the French PARX office, is now in charge of developing of the local team as well as the growth of our French activities. Meet our team of experts at DMEXCO 2018 on September 12-13 in Cologne and find out how you can benefit from the digital transformation with Salesforce and drive your business forward. Just as summer arrives, it's that time again. 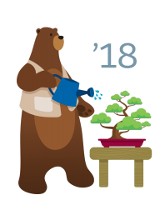 With its Summer '18 Release, Salesforce is rolling out yet more interesting new features. The latest version boasts more personalized and integrated customer journeys, helps your team work in a more integrated way, and takes the statistics for your entire organization to a whole new level. PARX has summarized the best features for you. Please do not hesitate to contact us if you are interested in certain functions for your company. Simply get in touch with your PARX contact or Silvio Galfetti in Zurich (silvio.galfetti@parx.com, +41 43 500 97 21), Christophe Gaget in Lausanne (christophe.gaget@parx.com, +41 21 533 59 42) or Matthias Hussl in Germany (matthias.hussl@parx.com, +49 40 232 05 4002). In recent months, PARX has again welcomed on board a number of new staff. You can find out all about them in this article. Veronika Schütt will support us as an Internal Business Analyst and Project Manager in Berlin. Claudia Murad is also joining our Berlin team — as a Consultant. Manasi Gangal and Dmitry Yasko will boost our Technical Architect team, while our Developer team also welcomes two new experts: Andrey Korolyuk and Dmitry Merkis will be working as Developers at PARX. Welcome onboard! The new Spring ‘18 Salesforce Release contains a number of new features for the Lightning user interface. These include navigation improvements and the new availability of surveys on Lightning. There are also new functions for Lightning when it comes to artificial intelligence, analytics and dashboards. Our colleague Kevin Engelmann has put together a detailed overview of the most interesting features. Please do not hesitate to contact us if you are interested in certain features for your company. Simply get in touch with your PARX contact or Silvio Galfetti in Zurich (silvio.galfetti@parx.com, +41 43 500 97 21), Christophe Gaget in Lausanne (christophe.gaget@parx.com, +41 21 533 59 42) or Matthias Hussl in Germany (matthias.hussl@parx.com, +49 40 232 05 4002). PARX has been very busy recruiting talented new Salesforce experts. We have been able to find more valuable resources for our various teams. Slaven Imhof and Pascal Dürmeyer join our Marketing Automation Competence Center, Michael Zimmer now supports us as a Senior Account Manager, and Eren Sonal joins our team of Consultants. In addition, four new colleagues have started in Minsk: Luc Shmarlousk and Vitaly Karpovich join us as Salesforce Admins, Vadim Dubovsky as a Quality Assurance Engineer and Ivan Kliaviakin as a developer. Welcome to the team! The recently released «Salesforce Winter ‘18» Update includes some highly anticipated changes and new features that will improve usability and help you to be more efficient using Salesforce products. Again, Salesforce focuses on its Lightning Experience Interface and streamlines its products to have one common user interface. Given the fact that Lightning Experience has constantly grown and improved over the last five releases, it is now an excellent, mature alternative to the Salesforce Classic interface, which offers additional features you would not want to do without once you’ve tried them. We’d like to introduce our favorite new features to you. Below we take a close look at what we think are the most interesting new features. Please do not hesitate to contact us if you are interested in certain functions for your company. Simply get in touch with your PARX contact or Silvio Galfetti in Zurich (silvio.galfetti@parx.com, +41 43 500 97 21), Christophe Gaget in Lausanne (christophe.gaget@parx.com, +41 21 533 59 42) or Matthias Hussl in Germany (matthias.hussl@parx.com, +49 40 232 05 4002).